Monitoring diabetes is critical to determining your pet’s proper insulin dose as discussed in Pet Diabetes Monitoring – Part 1. To a large extent, monitoring can be done at home and it is possible to save a great deal of money by doing so. However, some tests simply must be done at the veterinarian’s office. Many veterinarians have pet owners monitor their diabetic pets by testing the urine for ketones and sometimes glucose (sugar). 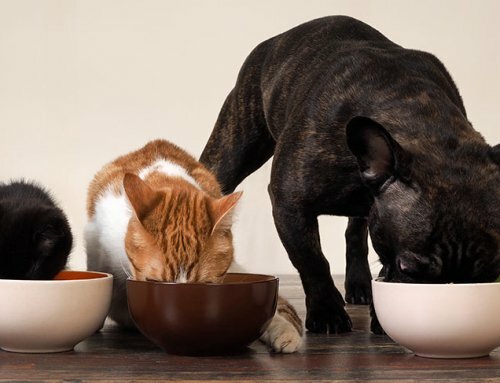 Food provides our pet’s bodies with fuel. Most of their tissues can process stored fat, though the brain requires glucose. 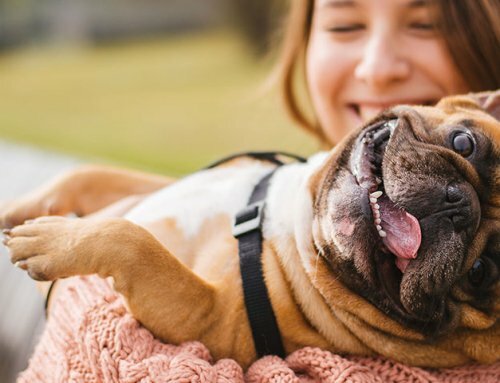 When our pets are healthy, there is plenty of fat and plenty of glucose to run our metabolism, but in times of disease, such as diabetes, the problem begins: we deplete stored energy (glucose) and the body must make it by processing more fat. Ketones are a byproduct of intense fat burning. The brain is able to use ketones as an alternative to glucose, which is a good thing, but with intense ketone production it leads to metabolic pH changes that lead to acidic blood (low pH) and dangerous electrolyte imbalances. When diabetes mellitus is complicated by infection or other problems, ketoacidosis can result. This is a serious complication that can lead to intensive hospitalization and even death. 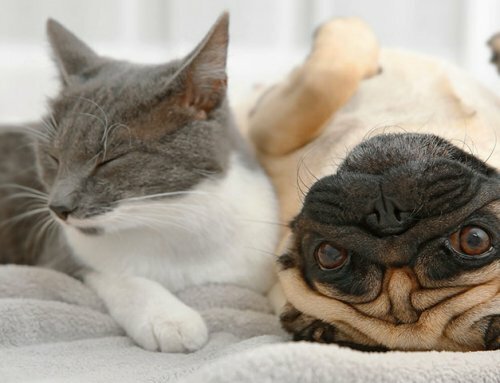 It is helpful to monitor your pet’s urine for ketones. Ketostix are one type of urine dipsticks that indicate ketones are in the urine. Only a drop of urine is needed. Dip the dipstick in the urine and look for a color change. A color guide is on the bottle of dipsticks (follow manufacturer’s instructions). This does not need to be done every day if the pet seems to be doing well, but when it is done record the results in the monitoring notebook as discussed in Pet Diabetes Monitoring – Part 1. Occasional ketones are not alarming in a diabetic pet, but if ketones are found in the urine for three days in a row, or if your pet is showing ketones and seems ill (poor appetite, vomiting, lethargic, etc. ), then the pet should be seen by the veterinarian immediately. In such a situation, diabetic ketoacidosis is likely occurring and serious treatment may be needed. Using Ketostix is simple, but you will need a sample of the pet’s urine which isn’t always easy. For dogs this is best done as a two-person job. Urine from a male dog can be collected using a cup during a walk. When he lifts his leg to urinate, the second person simply catches the urine in the cup. With practice, this can be done with one person. A female dog is tougher and you may need a second person to put a small paper plate/bowl under the dog as she urinates. Tip: Over time, clients have developed unique contraptions to help collect urine from a dog: bend a metal coat hanger so that it can hold a paper cup/bowl on one end and have a long handle on the other end. 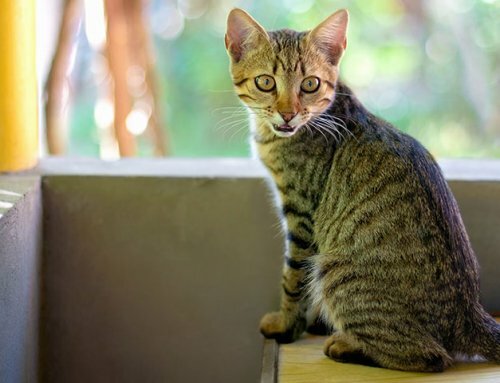 For cats, the owners have found placing a piece of cellophane over the litter box that some urine will be retained even if the cat buries the litter in the box. Even if the cellophane is wrinkled, only a drop of urine is needed for the test. If it is not possible to get urine, contact your veterinarian about a special litter that can be used which will not absorb urine. Author’s note: It is not necessary or particularly even desirable to monitor urine glucose with dipsticks at home. The urine contents of the bladder represent several hours of urine production, thus making interpretation of urine glucose challenging. It is not wrong to check urine glucose, but it can be confusing to decipher, and should be considered optional. It is largely unavoidable that sugar will spill into your pet’s urine. Glucose in the urine is a predisposing factor for bacteria to grow and urinary tract infections are common in diabetic pets. Symptoms are difficult to recognize at home so periodically your veterinarian will perform urine cultures to rule out latent infection. Blood glucose variations leave a mark that lasts a week or two (average), fructosamine. Measuring fructosamine is a helpful way to help monitor glucose control and is used more frequently in cats. Measuring fructosamine gives a sense of the average blood glucose over the past couple of weeks. Because the fructosamine is looking at the average, it will not differentiate excellent control from wide fluctuations of high to low glucose readings. Even with this drawback, fructosamine is good to include in periodic monitoring tests. Your pet will still need regular veterinary examinations, typically every three to six months after regulation has been achieved. A basic blood panel and urinalysis should also be expected when the pet returns for regular check up and evaluation. 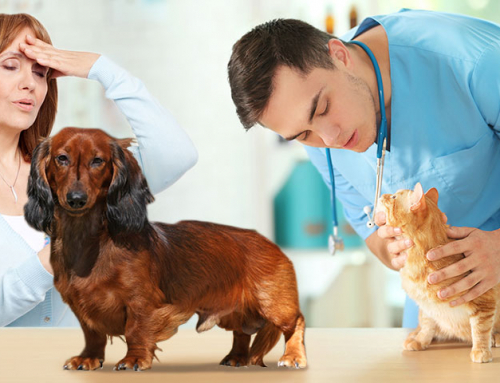 Work closely with your veterinarian, both after the initial diagnosis and long term, to design the optimal home testing program for your diabetic pet. 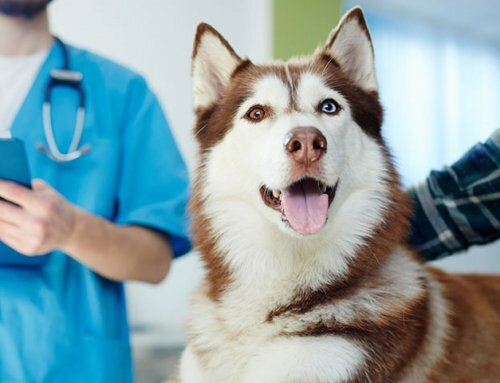 It is very important that you do not adjust the dose of insulin on your own without consulting your veterinarian, as errors can be made that can be extremely detrimental to the health of your pet. If your pet seems sick, or if the symptoms of diabetes seem to return, then your pet needs to be seen by your veterinarian promptly.